If you've missed any of Susan's Back-To-Sleep blog articles covering a wide range of sleep challenges and solutions, just click below. Also, feel free to leave comments. We’re always interested in hearing what you have to say! 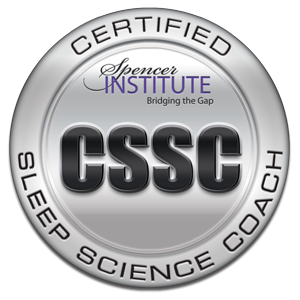 In my experience as a Sleep Science Coach, I’ve noticed that most people struggling with insomnia focus their attention on what they can do differently at night to try to resolve their sleeping challenges. Now, I’m not saying that’s wrong. On the contrary, there are many things you can do at night which will help you to re-gain your well-earned ZZZ’s. So what else is there…? In an intriguing article by Simon Parkin, Finally, a cure for insomnia? released on 9/14/18 in the Guardian, the work of South African psychiatrist, Hugh Selsick, and his insomnia clinic located in Bloomsbury, Great Britain are looked at. My thoughts on napping are mixed. In this hectic day and age, if one is feeling sleep-deprived and has trouble keeping their eyes open after lunch, a nap can help to recharge. On the other hand, napping can potentially interfere in feeling sleepy at night. This, of course, can lead to less nighttime sleep and more daytime drowsiness. But, is a nap what you really need…? The debate amongst the experts regarding what contributes the most to one’s great health… apart from strong genes… is on. Below are the top three lifestyle activities discussed. ► Good Night’s Sleep - There’s no denying that lack of sleep can be quite harmful in both the short and long run. But, what does good sleep do for us…?